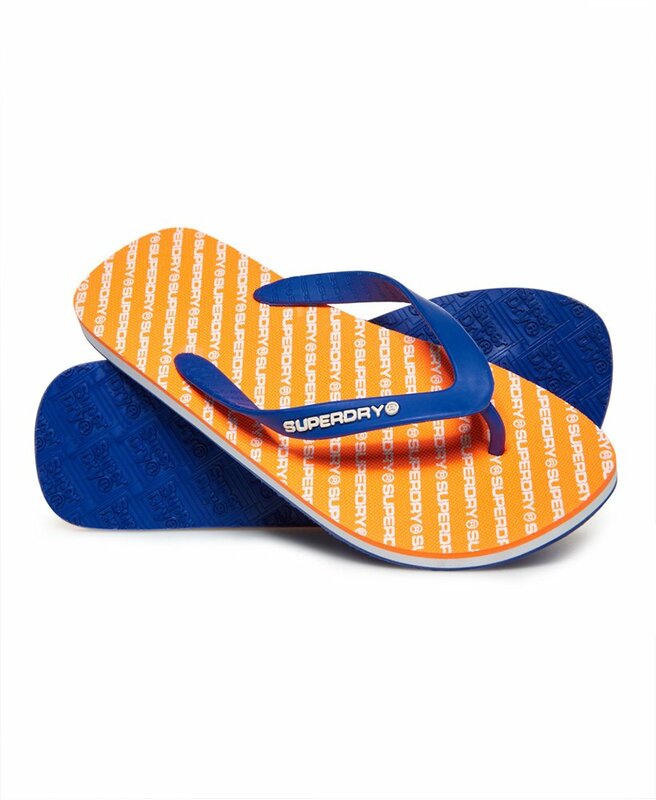 Superdry men's International flip flops. A classic pair of flips flops, featuring logo branding printed across the sole and small logo on the upper strap. Perfect to wear with shorts and a t-shirt on warm weather days.